Warehousing work activities create numerous health and safety risks. If you fail to control them, your warehouse may face a high employee turnover, underperforming staff, injuries and illnesses, lost working days, legal issues, and, at worst, fatalities. As an employer, supervisor, or manager, you are legally required to implement and maintain safety procedures. Safety measures must protect workers from warehouse hazards and ensure that they can carry out work activities safely. You should also focus on promoting thorough warehouse safety procedures for reasons beyond compliance. 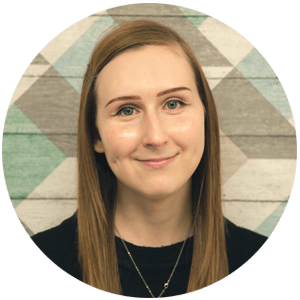 Maintaining good practices shows that you value staff wellbeing and want to do things right, which boosts motivation and increases trust in your leadership. The sections below cover common warehouse hazards you should diligently manage. Whether your workers drive forklifts or lift trucks, vehicle safety is essential to prevent impact or crush injuries. In 2016/17, 31 people died due to being struck by a moving vehicle. Furthermore, nearly a quarter of all deaths involving vehicles at work occur while the driver reverses. Only allow staff to drive vehicles if they have received practical training. No one under the age of 18 should operate a forklift. Ensure workers maintain speed limits – you should put up signs to remind them. Drivers of forklifts should not exceed 5mph. Ensure staff avoid reversing wherever possible. Set up a one-way system and plan routes so drivers can always see where they’re going. If drivers can’t avoid reversing, make sure they have someone to spot them or other visibility support. Maximise visibility. Set up mirrors to aid the driver’s vision when manoeuvring around corners or reversing. Make sure people working on the warehouse floor know to look both ways when they leave an aisle. Enforce a zero-tolerance policy for dangerous driving, such as racing. Keep aisles free of obstructions. Make sure staff know to follow good housekeeping practices. For example, disposing of packaging materials and clearing away equipment as soon as possible. Arrange for regular inspection and maintenance of vehicles. A trained professional needs to check that everything is in working order. However, staff can still look for obvious issues. Provide drivers with a list of daily checks. For example, warning lights on the dashboard, deflated tyres, faulty seatbelts, strange noises, etc. Display driver safety notices and signs. Signs should warn drivers to watch out for pedestrians, wear their seatbelt, report issues to their manager, etc. Maintain the floor to prevent overturning or damage to the vehicle. Make sure parts of the floor aren’t too steep, uneven, or damaged. Statistics from the Health and Safety Executive show that slips and trips are the single most common cause of work-related injuries in the UK. They also state that falls from height account for most workplace deaths. In 2015/16, almost 40 people died from falls from height, while around 118,000 workers suffered injuries due to slips and trips. Ensure staff know how to carry out good housekeeping. They should clean up spillages, remove obstructions from paths, keep cables tidied away, etc. Ensure cleaning staff display appropriate warning signs. Try to schedule cleaning outside of normal work hours so it puts fewer people at risk. Also make sure that cleaners use the correct method and detergent for your type of warehouse floor. Use anti-slip paint. It prevents dust from building up, reduces the slip quality of the floor surface, minimises wear and tear, and improves cleaning. Use anti-slip tape and shoes. Tape is useful for stairs and other areas where you can’t use anti-slip paint, while non slip soles help people remain safe even if they do encounter a slip hazard. Make sure floors are level – uneven flooring can cause people to lose their footing. This is especially dangerous if they’re carrying a load. Use heavy-duty cord covers if you must run cables across the floor. As well as preventing trips, covers also protect cables in case a vehicle runs over them. Train staff to work at height safely. 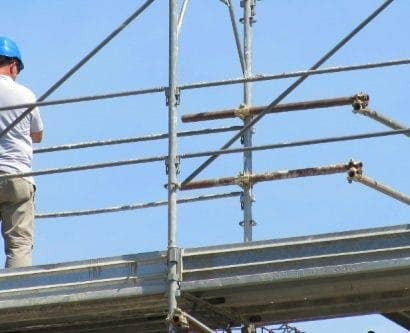 Ladder safety is particularly important because misuse or use of an unstable ladder can lead to serious injury or even death. Make sure workers use them for no longer than 30 minutes, stay off the top 3 rungs, and maintain three points of contact at all times (e.g. two feet and one hand). 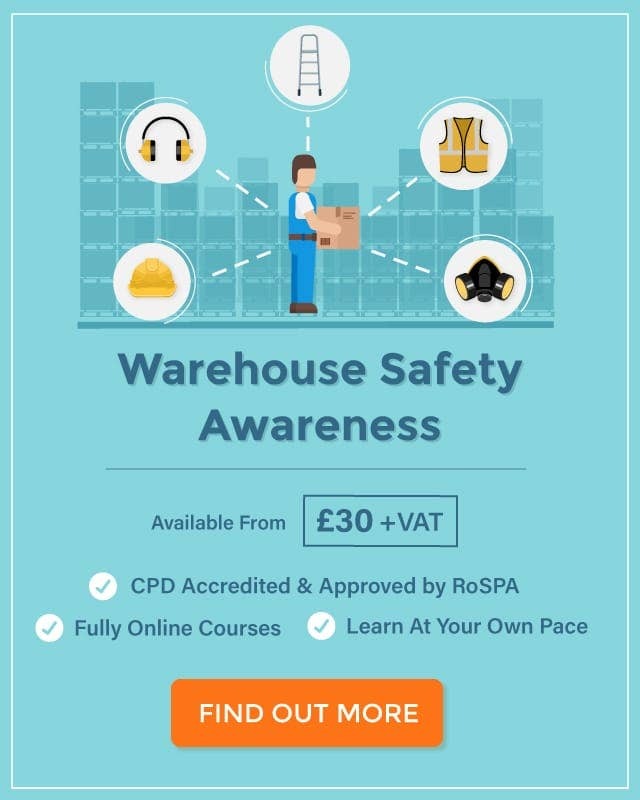 For more information, High Speed Training offers a CPD accredited and RoSPA approved online course dedicated to Slips, Trips & Falls. Warehouse staff may carry out both manual and machinery-assisted lifting activities, which both pose a significant risk if not performed safely. 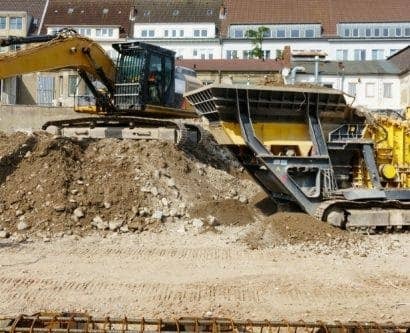 You need to implement suitable control measures to prevent musculoskeletal disorders and the risks of unsafe equipment. Ensure operators of lifting equipment know the maximum safe working load (SWL). The SWL is usually printed on equipment and/or included in the manufacturer’s instructions. Following these limits is essential to prevent strain, which could cause the load to fall off or wear down the equipment. Train staff in manual handling safety. They should know their manual handling weight limits (20-25kg is heavy for most people) and how to use proper handling techniques to minimise strain. Avoid the need for manual handling if possible – use lift trucks, pallet trucks, trolleys, etc. Ensure staff use and store chains properly. Improper use of chains can lead to the links experiencing metal fatigue, bending, or rusting. Check chains regularly for issues, keep them in a dry place, and prevent vehicles from running over them. Warehouses have a lot of open space and kindling, meaning that fire can spread extremely rapidly. In 2015/16, there were 2,131 fires in industrial premises (which includes warehouses) and of this number, there were 7 fatalities and 120 non-fatal casualties. Beyond damaging your warehouse and harming people, fires lead to the loss of valuable resources and production time. In fact, many businesses never fully recover from a serious fire. Carry out fire drills at least once a year. Drills help you check that your escape routes work in practice. They should demonstrate that staff know the location of fire exit routes and the assembly point. Test fire alarms weekly and check smoke alarms ideally on a monthly basis. Also check other equipment regularly, such as extinguishers and sprinklers. Create a fire evacuation and emergency plan. You should review and update it regularly. Designate a fire warden. Their responsibilities include minimising fire hazards in the workplace, creating evacuation plans, and taking charge during an emergency. Ensure you have installed emergency lighting. Fire escape routes, exits, and signs need to be well-lit so people can see them from a distance and navigate safely. Handle materials safely. Staff need to ensure they clear away boxes and packaging and handle hazardous substances with extreme care. Make sure you know how to store chemicals safely in a warehouse. Most warehouses require staff to load and unload pallets on racking, either by hand or with machinery. Your workers must carry these tasks out safely so they don’t drop pallets on people, affect the stability of racking, or damage other equipment. Train staff to load pallets securely. Use shrink or stretch wrapping to support pallets and follow a suitable stacking pattern as recommended by the manufacturer. Make sure staff follow the safe stacking height and weight capacity recommended by the manufacturer. They should stack them evenly, with heavier pallets on the bottom. Instruct staff to inspect each pallet before use. Pallets should not contain loose nails, splinters, cracks, or any other issues. Tell staff not to climb, lean on, or walk over pallets or racking. Some staff may not recognise the damage they can do and how easily they could fall or knock something off the racking. Ensure staff do not use pallets or fork lift trucks to access heights. They should use a ladder or another type of suitable equipment to reach higher shelves. Provide staff with suitable personal protective equipment (PPE). PPE helps prevent exposure to numerous hazards. Workers may need personal protective equipment in your warehouse, but keep in mind that you should first implement other control measures. This is important because, if the PPE fails or workers don’t wear it, any uncontrolled hazards will pose a huge risk. Hard hats – make sure you purchase legitimate ones. Fake hard hats do not afford the same protection as those that comply with manufacturing standards. High visibility jackets – high-vis attire is vital when vehicles are on site. Safety shoes – shoes with anti-slip soles prevent slip accidents, while steel capped boots protect from impact and crush hazards. Eye protection – safety glasses and goggles prevent debris harming the eyes. 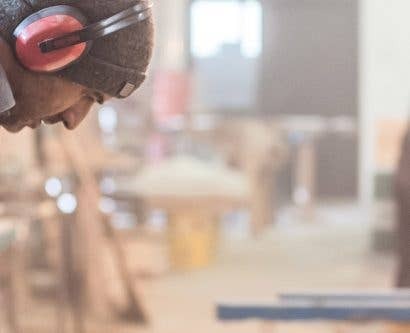 Hearing protection – ear defenders or plugs help reduce noise exposure to an acceptable amount. You’ll need to assess the risks in your warehouse to determine which type of PPE your workers need. But hard hats and high visibility jackets are essential on most warehouse sites. 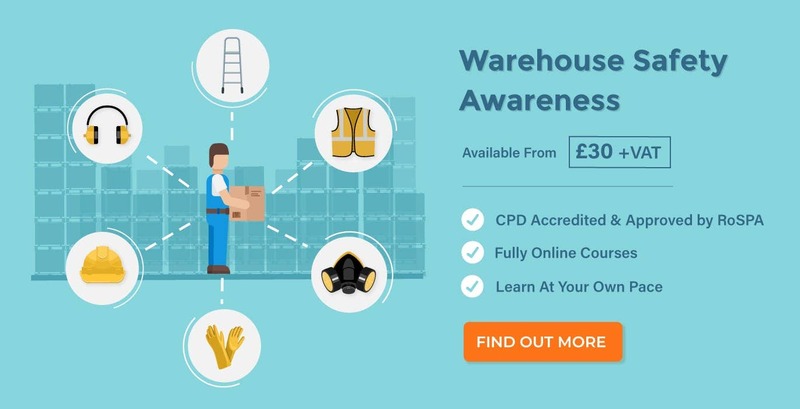 An online training course can provide further information on legislation relating to the use of PPE, the types you may need and how to effectively implement it in your warehouse. Training workers in health and safety is a legal requirement. They must understand how to work safely with warehouse equipment and how to uphold health and safety control measures. Provide practical and technical training to workers. For example, practical training should cover how to use forklifts safely. 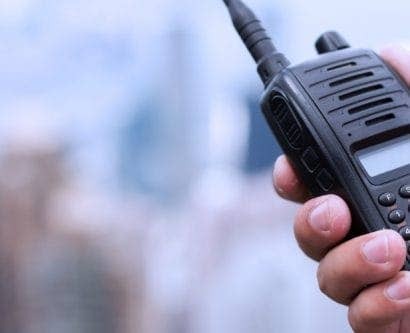 Technical training – such as Level 2 Health and Safety – makes them aware of the various types of hazards in the workplace and how to minimise them. Staff may also need other specific training, such as ladder safety. Take training yourself. Keep in mind that you’ll need a higher level of training than workers. For example, Level 3 Health and Safety, which covers each essential safety topic in detail. Most importantly, make sure workers know to immediately report hazards to you or another senior staff member. Swift reports enable you to take action to correct issues and keep your warehouse safe.